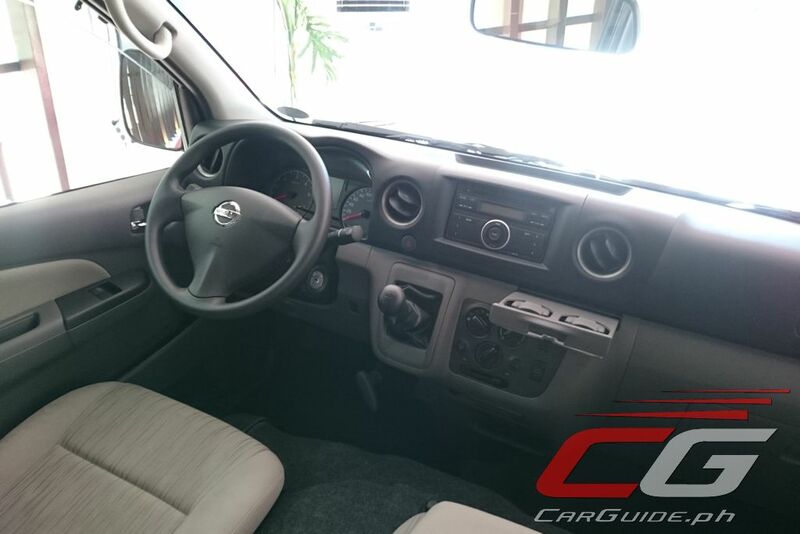 Nissan Philippines, Inc. (NPI) is looking to continue its strong sales momentum well into 2017. 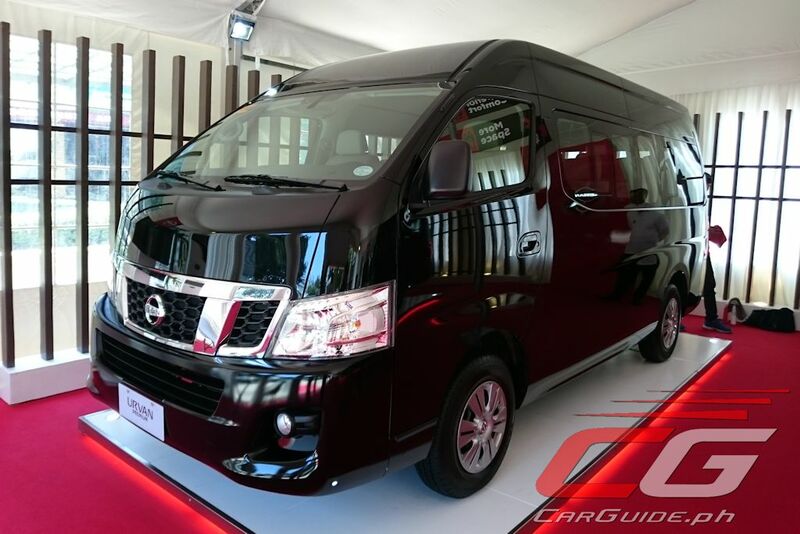 Coming from its highest first quarter sales since 2000 (5,277 units sold), NPI is entering into the lucrative premium van segment with the Urvan Premium. 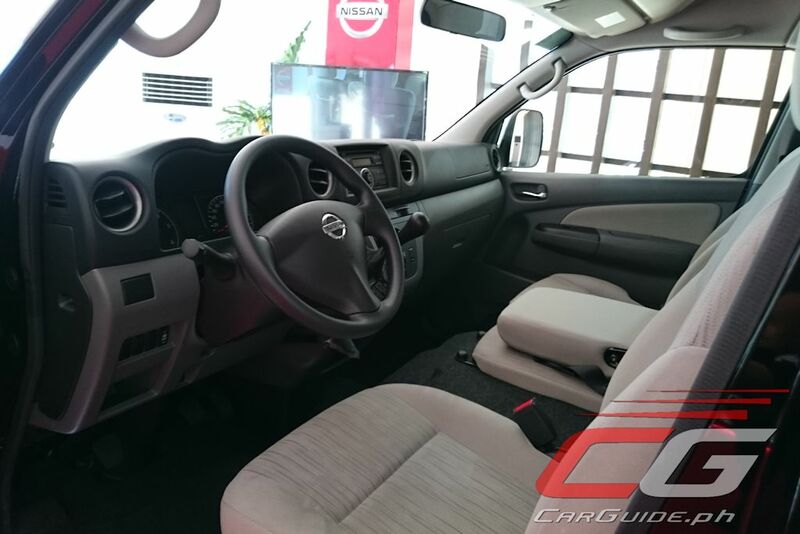 Representing 31 percent of NPI’s total sales last year, the NV350 Urvan has become a valuable member of the Nissan Philippines family. That said, NPI still sees tremendous growth opportunity for the NV350 Urvan since it only caters to 54 percent of the total van market (business-oriented or commuter van category). The remaining 46 percent, private users looking for a comfortable yet practical full-sized van, is what the Urvan Premium’s going for. With that, the Urvan Premium is stretched in every dimension. It now measures 5,230 millimeters in length, 1,880 millimeters in width, and 2,285 millimeters in height. 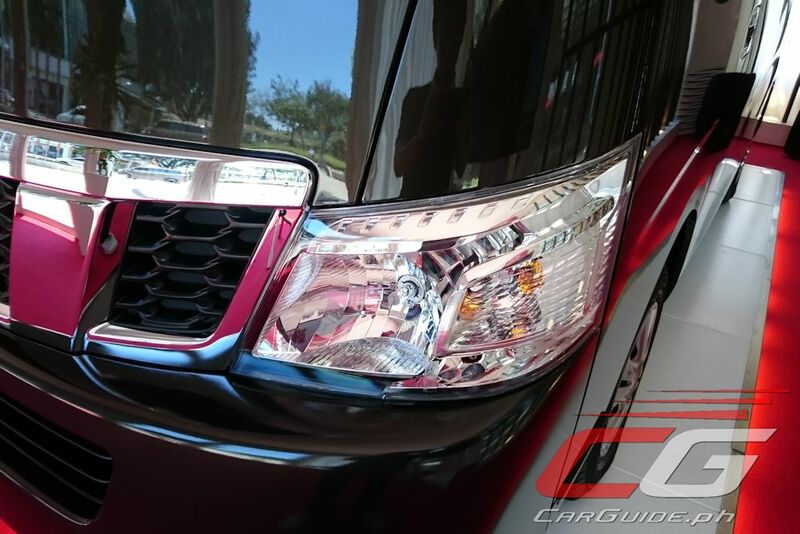 It can now stand toe-to-toe against its closest competitor, the Toyota Hiace GL Grandia. 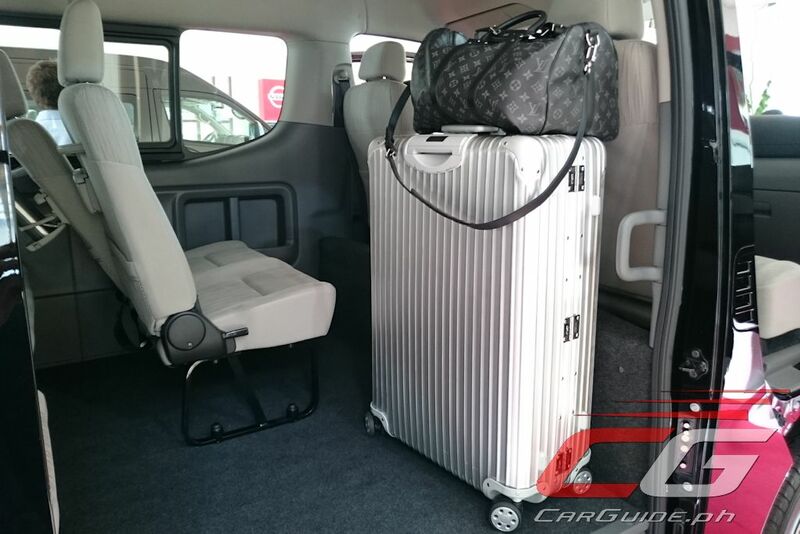 Unlike the GL Grandia though, the Urvan Premium fits more warm bodies with a total passenger count of 15. And thanks to its lengthened wheelbase, there’s ample leg room across all four rows as well. 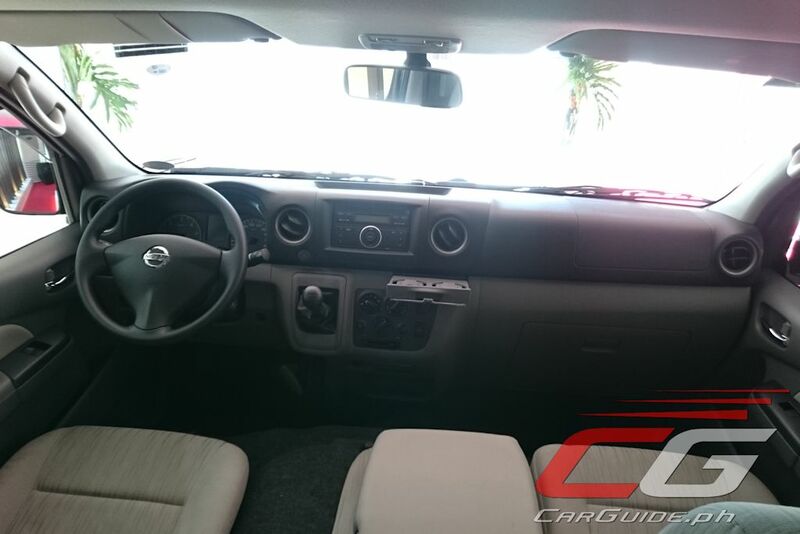 Though vans aren’t really known for their style, Nissan has given the Urvan Premium some striking exterior detailing including the trademark V-motion front grille, sharper looking headlights, and dynamic character lines on the front and sides. Front fogs light are standard. In addition, the Urvan Premium looks more modern thanks to the elimination of the unsightly side roof drip channel and shorter overhangs. 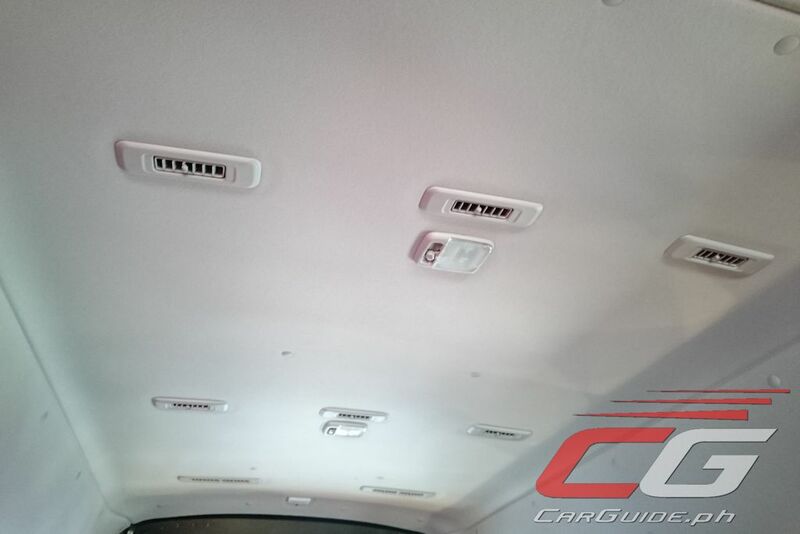 Entering the Urvan Premium is made easier thanks to the extra-wide sliding door (passenger side only). With an opening height of 1,580 millimeters, there’s almost no need to slouch to enter while a Door Closure Assist closes the door without the need to exert too much effort. 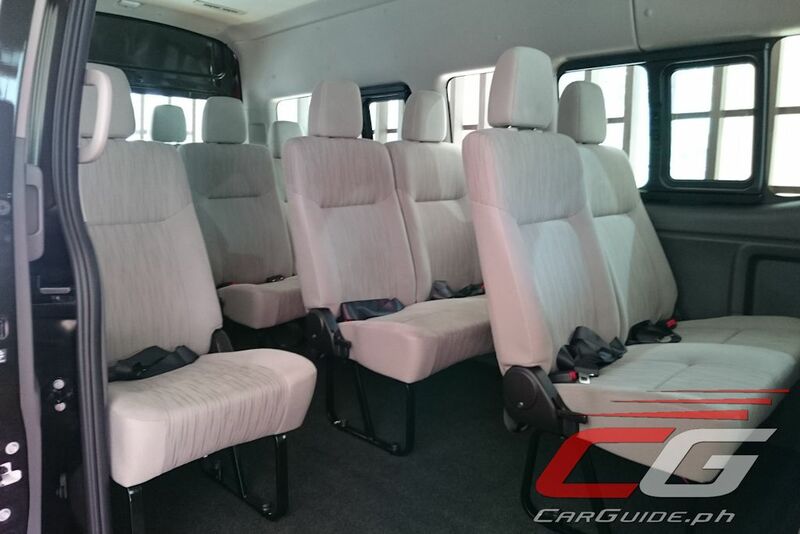 Inside, the Urvan Premium offers the comfort of individually reclinable seats covered in a suede-like tricot fabric material and a more luxurious gray-colored headliner. 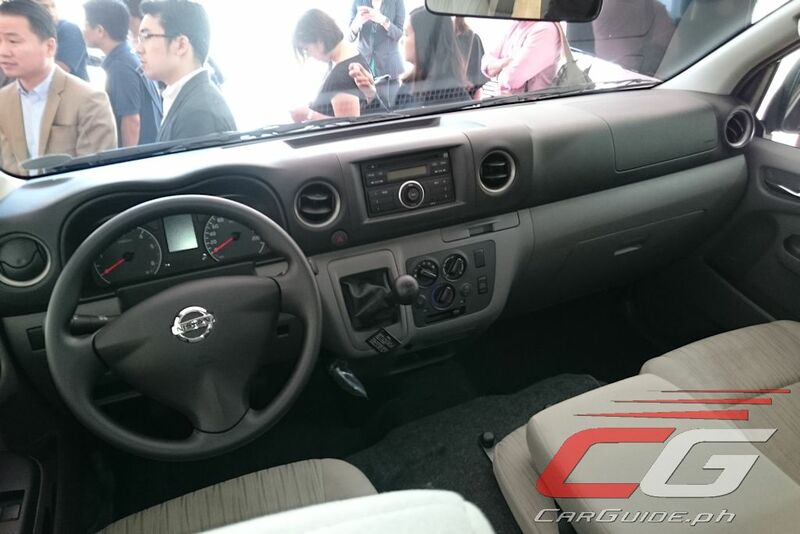 The two-tone black and gray dashboard also enhances the feel of width and roominess. 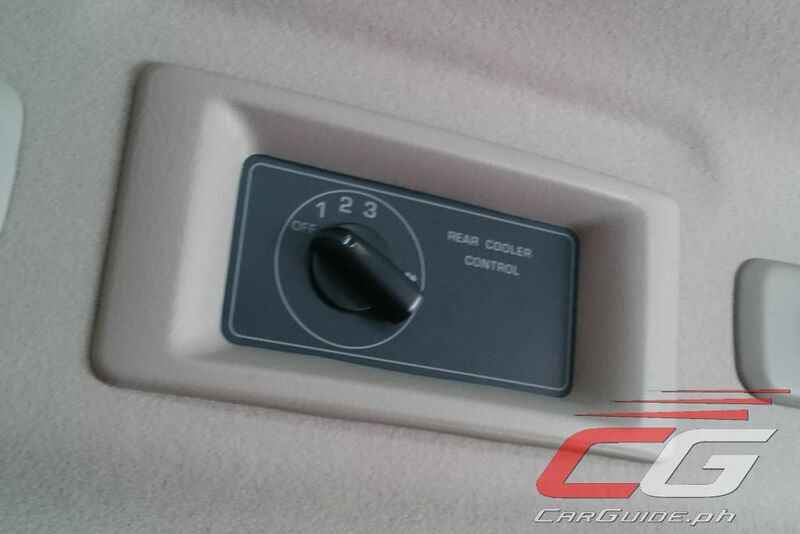 The Urvan Premium also lives up to Nissan’s reputation for providing unmatched cabin cooling with its dual A/C system with 14 individually adjustable air vents. 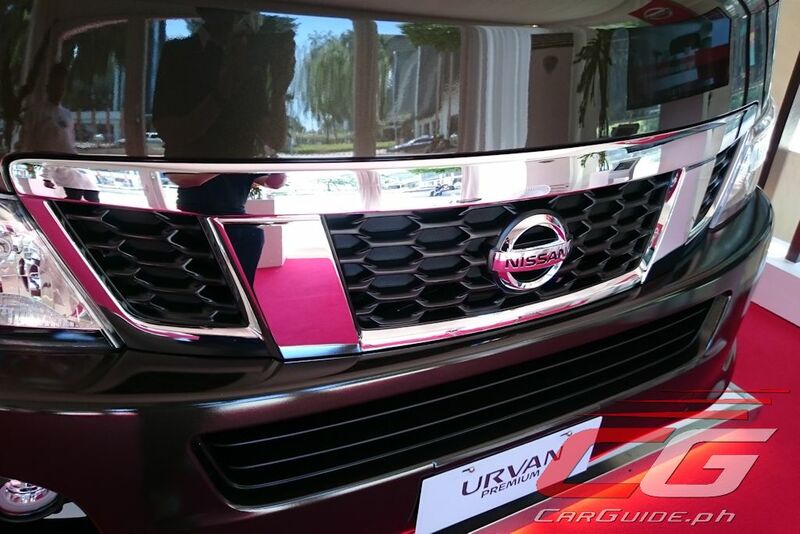 In terms of powertrain, the Urvan Premium shares its engine with the award-winning NV300 Navara. The high-torque YD25DDTi engine generates 129 horsepower at 3,200 rpm and more importantly, 356 Nm of torque from 1,400 to 2,000 rpm. The sole transmission is a 5-speed manual. 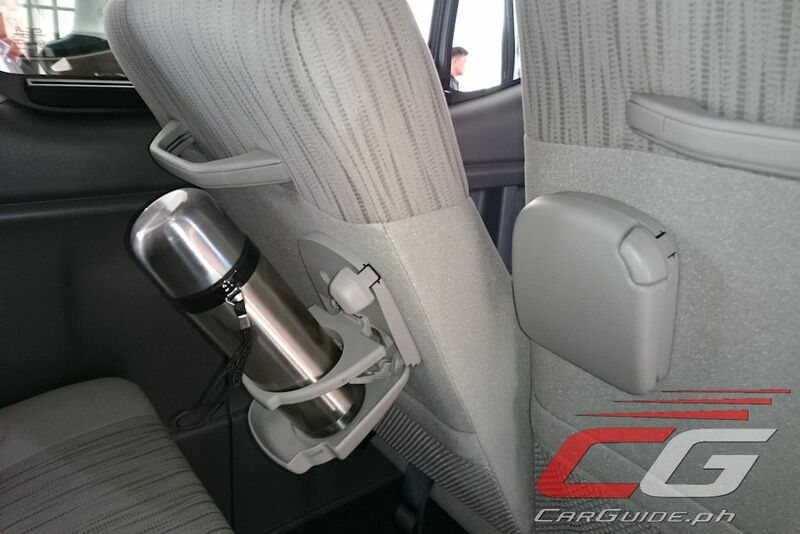 Further enhancing the ride is a net of safety features such as dual SRS airbags, seatbelts for all occupants (3-pt or 2-pt depending on the exact position), a child proof lock on the sliding door, a load sensing valve (LSV), and anti-lock brakes (ABS) with brake assist (BA). Maintenance is often not talked about when purchasing a new car, but Nissan is tackling this subject head on. Its commitment to customer service extends to aftersales service by offering a significantly lower cost of ownership versus the competition. 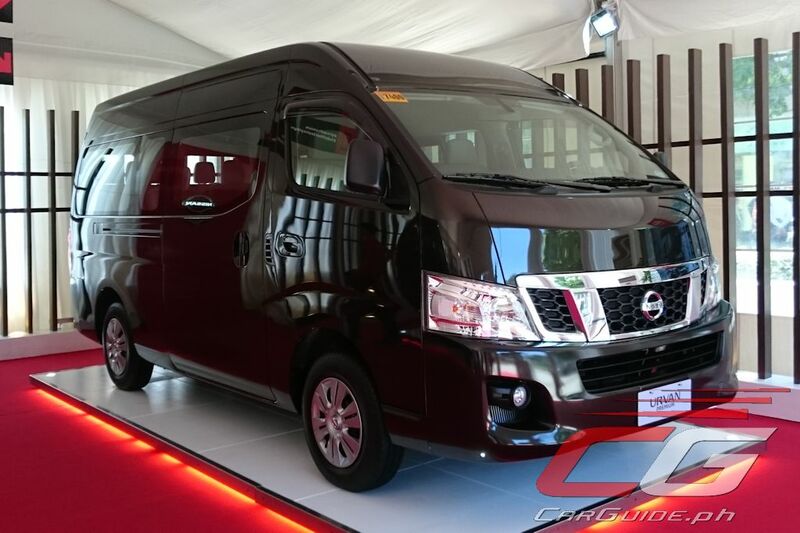 Aside from offering the country’s first 3-year / 100,000-km warranty even when used for business or commercial purposes, the Urvan Premium’s maintenance cost is up to 50 percent lower than other vans in the same segment. 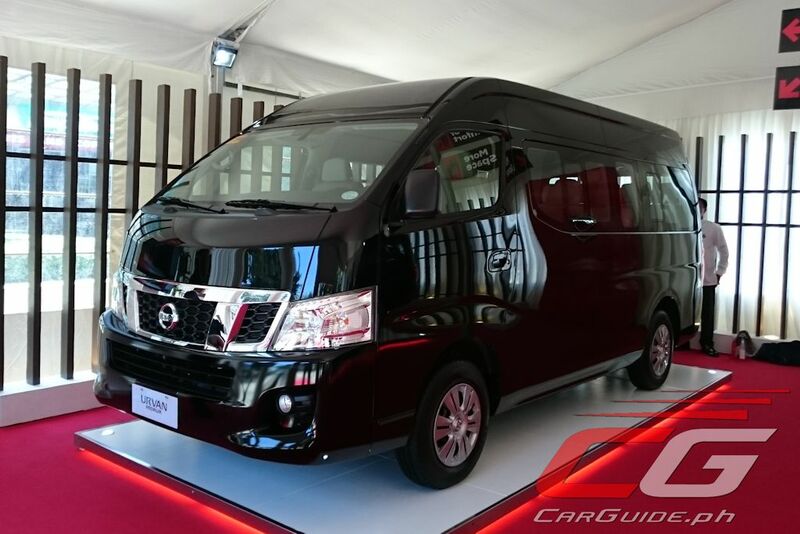 The 2017 Nissan Urvan Premium will be available for sale by June 2017 with a price of P 1,650,000. Three colors are available: Alpine White, Black Obsidian, and Tiger Eye Brown. 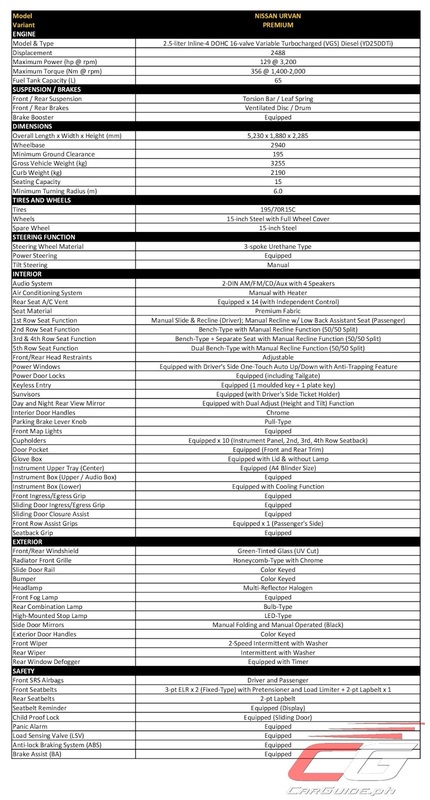 All Nissan dealers nationwide are now taking orders. 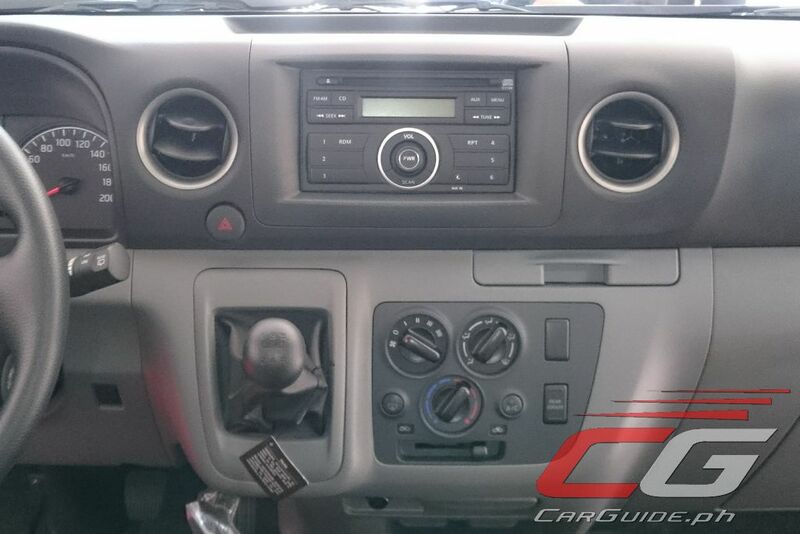 Touch Screen Audio with GPS Navigation & Back up Camera. Ang Tunay na Lalake nagmamaneho ng Automatic Transmission. Super bilis ng Automatic Transmission. Pag nagdrive ka ng Manual Transmission Masakit sa Paa ang aabutin mo. 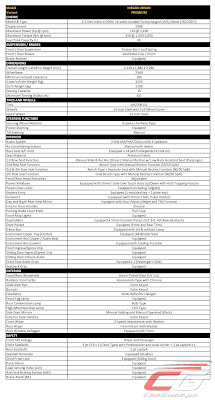 Karamihan sa mga Lalake mas gusto nila talaga ang Automatic Transmission kesa sa Manual Transmission. Masarap ang buhay, itodo ang arangkada ng walang palya. Bravo Biscuit, ang bagsik mo! MAHALAGANG PAALALA: ANG BRAVO BISCUIT AY HINDI GAMOT AT HINDI DAPAT GAMITING PANGGAMOT SA ANUMANG URI NG SAKIT. basta may pambili ka... mas maganda automatic. Di man lang ginawang 6speed transmission. Coil springs at the rear? ang problema nitong van na ito, maliliit ang mga tires. Hindi sya stable kung titingnan mo sa body nya parang hindi totally proportional. 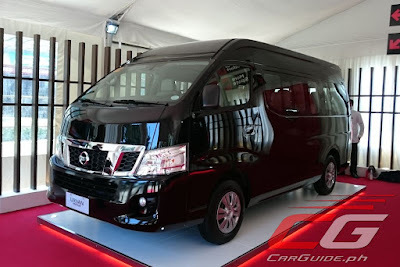 Maganda sa kung maganda ang Nissan Urvan, itng mga gulong lang ang naging comment ko, kasi lalu na sa mga road curves hindi nya ma su sustain sa liit ng gulong. Could This Be the Future of the Jeepney?